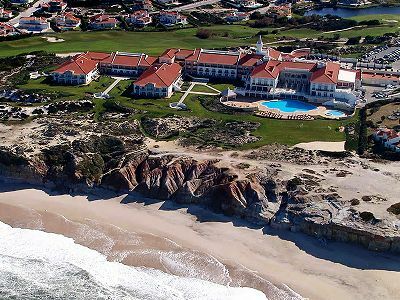 Praia D’El Rey Marriott Golf and Beach Resort is a luxury hotel set overlooking the Atlantic, located 75 minutes from Lisbon Airport. Ascot Golf packages at Praia del Rey Marriott offer complimentary shuttle transfers to Praia del Rey golf course, Royal Obidos and Bom Sucesso. Unlimited Golf offers are also available at attractive rates. The Marriot offers 177 deluxe rooms with designed with golf views, partial ocean views and ocean front upgrades available. A visit to Praia del Rey Resort offers a perfect escape to relax and enjoy some of Portugal’s finest golf courses all within a relaxed and welcoming environment. Away from the golf course visit the neighbouring coastal town of Peniche for an evening out, or the historic town of Obidos for local culture and heritage. Listed Golf Packages at Praia Del Rey Marriott include Hotel, Golf, Golf Transfers and Daily Breakfast. Book a Group of 12 persons at Praia del Rey with Ascot Golf and the Group Leader Stays & Plays for FREE on the same board as the remainder of the Group! Upgrade to Half Board PLUS at Praia del Rey! Listed Golf Package prices at Praia del Rey Marriott include Garden Room, daily breakfast & golf. Booking Terms: Optional Upgrade payable per person for 7 night stay. Listed Package Prices: Listed Golf Package price apply for 7 night stays with an optional supplement for Half Board PLUS. The hotel consists of 179 deluxe rooms with breathtaking views of the ocean and of Europe’s best golf courses. Double or Twin Rooms: featuring private terraces or balconies and views. Junior suites: with upgraded amenities for added convenience. Suites: including deluxe features and spacious floor plans. Presidential suite: for the ultimate in sophisticated comfort. Guests of Praia del Rey Marriott enjoy a fantastic choice of international and local cuisine, with themed buffet, a-la carte and bistro dining. Ascot Golf package include an optional upgrade for evening dinner with unlimited drinks (wine/beer/soft drinks/water) during your meal. Tempera Restaurant: Mediterranean cuisine & themed buffets seasoned by the sea and with stunning ocean views. In the restaurant or on the terrace, Tempera is the main hotel restaurant at Praia del Rey Marriott. Emprata Bistro: A menu inspired by authentic flavours, where the dishes have been designed to be shared in a unique and casual dining experience. Contato Restaurant: Contact the world, keep in touch Enjoy relaxing in a friendly atmosphere, ideal for relaxing and socialising. Share unique moments savouring Snacks and Tapas with the sea as an ideal backdrop. Mare Restaurant: Discover all that good tides bring from the sea. Indulge yourself with fresh seafood and fish, accompanied by the best wines and breathtaking views. Clubhouse Restaurant: Located at the Golf Clubhouse, forget the outside world. Here you will find all the tranquility and refinement you deserve with excellent local dishes and service. Pool Bar: The best moments of the holiday are spent at the Pool Bar. Fun and socialising, accompanied by light meals and refreshing cocktails near the pool, will make your holiday even more relaxing. Seasonal opening. Tennis academy with seven courts, volleyball and handball courts, International FIFA standard football pitch, walking and cycling trails. Kids have their own club and can surf, windsurf, or kite surf. The Atlantic Coast Spa & Salon are fitted with a host of necessities to help sustain your body’s well-being. Soothe aching muscles and steam baths, or maintain your health by taking advantage of the comprehensive gymnasium. The Portugal spa hotel offers a variety of on-site features for your personal use. Spend the day horseback riding among rolling hills, or exploring the ocean depths with qualified scuba instructors. The Oeste (West) Region of Portugal, just an hour north of Lisbon, is a protected area of natural beauty with spectacular cliffs, pristine beaches and historic local towns. The Praia D’El Rey Marriott Golf & Beach Resort is located just minutes away from some of the most notable Lisbon Portugal tourist attractions and historic locations. Enjoy casual strolls on the picturesque beaches of Santa Cruz and Peniche (15 minutes), or sample the rich tradition of the Western Vineyard and Caves (30 minutes). Kalyan Spa features a state-of-the-art fitness centre, indoor & outdoor swimming pool, jacuzzi and turkish bath, making this the ideal place to unwind. Kalyan Spa & Fitness offer a range of massages, beauty treatments such as facials, manicures and pedicures, exotic body polishing and hydrotherapy treatments. Please ask your Ascot Golf sales agent for further details about including Kalyan Spa treatments with your Golf Holiday to Marriott Praia del Rey Golf and Beach Resort. The Kids Club & Summer Camp programme run through the summer months at Praia del Rey for international children aged 3-6 (Kids Club), and 6-17 (Summer Camp). For the little ones The Clube Aventura at Praia del Rey offers a kids club with several activities and games that provides a summer load of entertainment! 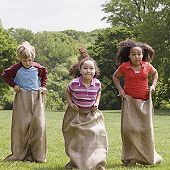 Friendship and fun are the key words for this summer camp! 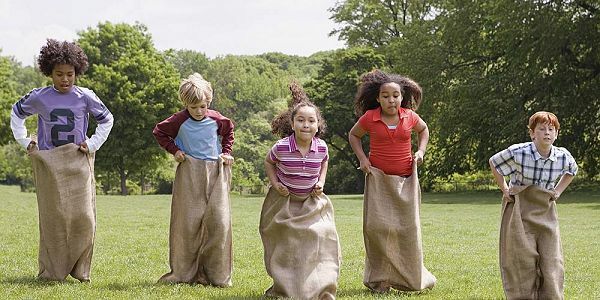 Try a variety of sport activities including a dedicated football camp. Terms and Conditions: For participants with accommodation and meals included. Check-in – Sunday between 2:00pm and 4:00pm / Check-out – Saturday until 2:00pm. Kids Club & Summer Camp require additional fees, depending on ages, programmes and accommodation. Please ask your Ascot Golf sales agent for further details. Located on the "Costa de Prata", just a few kilometres away from the historical medieval village of Óbidos and the Óbidos lagoon, the Praia D’El Rey Country Club faces the Atlantic ocean and the natural park of the Berlengas islands. 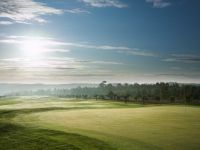 The course combines magnificent sea views, sand dunes and pine woods to create an exciting links golf course. Recently voted the 13th-best course in continental Europe by Golf World magazine. Crafted by time, molded by the tides, and sculpted by the winds. In a place of unspoiled nature, were the Wild West Europe meets the immensity of the Atlantic Ocean, a new golf experience managed by Praia D’el Rey is born. The varied landscape and natural terrain at West Cliffs remain undisturbed to create a unique and world class 18-hole seaside links golf course. Rolling sand dunes are interspersed with coastal vegetation, while pine groves overlook the ocean from above. This privileged and exclusive location will mesmerise and challenge you to tame the forces of nature and perfect your game. West Cliffs is designed by the world renowned golf course designer Cynthia Dye from Dye Design. The golf course design process required a long term, careful study of the site conditions, characteristics and restrictions. The Dye team worked closely with the local government's planning and engineering departments as well as several concerned national ministries. The design evolved through many reviews and exhaustive revisions to ensure a minimum disturbance of the environment and protection of the areas of existing drainage basins, dinosaur fossils and heritage pine trees. The Royal Obidos course opened Summer 2012 represents a great test - and an opportunity to play the last golf course designed by Seve Ballesteros. Complimentary Golf Shuttle provided to Royal Obidos from Praia del Rey Resort. Bom Sucesso is a resort course with a spectacular back nine affording some amazing views and three of the best finishing holes in European golf. The course was designed by Donald Steel, who has been named 4th most influential architect in the world by Golf Magazine. Steel has taken pains to ensure the layout has as natural a feel as possible with deep, gnarly-faced bunkers and rolling terrain. The highlight of your round here will be the sublime 17th, which swings downhill right-to-left over ridges to a green with the Obidos Lagoon as a backdrop. As a resort course, houses line some of the fairways, but they are generally located well above play on holes where the ball is gathered into the middle of the fairway. The course is a test for any player off the back tees, but the forward tees eliminate any excessive carries and make it playable for all levels. Facilities include a driving range, putting green, chipping area, and restaurant and bar. Flights, Car Hire/Airport Transfers, Lunch, Dinner and Buggy Hire.